This is a Mass Effect Andromeda skills page on the backlash skill. Here you’ll find information about the plethora of dangerous skills used in Mass Effect Andromeda. This skill creates a biotic barrier that reflects most projectiles and reduces the damage of other attacks. Backlash 1 1 Hold Button: Generates a frontal biotic aegis barrier that reflects most projectiles and reduces the damage of other enemy attacks. A well-timed initial activation interrupts melee attacks. Shield Resurgence 6 6 Restores shields over 3 sec after releasing Backlash. Can restore up to 50% of shield strength, scaled to damage absorbed by the aegis. Damage Aftermath 6 6 Increases damage inflicted for 3 sec after releasing Backlash. Scales with the amount of damage absorbed by the aegis. One combo you can use with backlash is combining it with biotic charge. 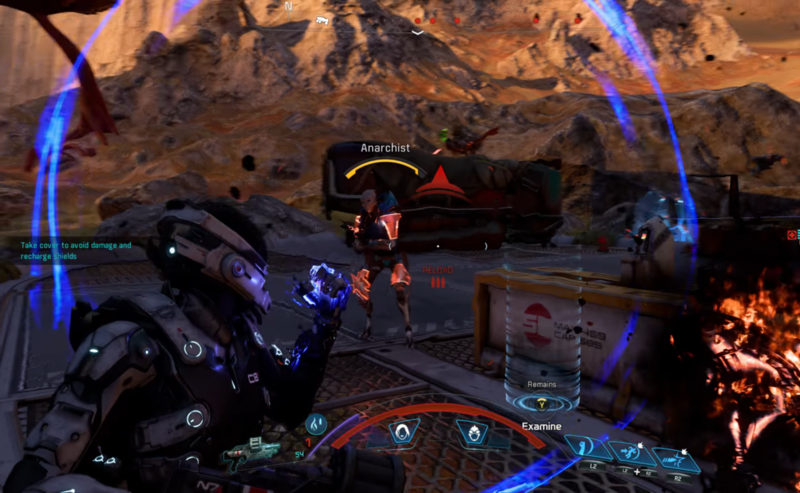 Block your enemy’s attacks with this skill as you come up towards him with biotic charge. This skill is especially effective against squads of kett. Kett anointed, specifically, are very vulnerable to a fully upgraded backlash. Let his soned charge. Once he starts spraying you with bullets, activate your aegis and watch all the bullets come spraying back at him. Note that this does not work if your enemy sees you with your biotic aegis activated; they merely wait for you to stop firing. Anointed are often grouped with many chosen. You can easily deflect their fire towards a specific target–the Anointed, for one–before the aegis breaks. Note that if the shield breaks, you’ll go into an animation, leaving you vulnerable to attacks for a second. Quickly deactivate this skill once the aegis turns red.